“UFC on FOX: Shogun vs. Vera” took place Saturday inside Staples Center in Los Angeles, California. 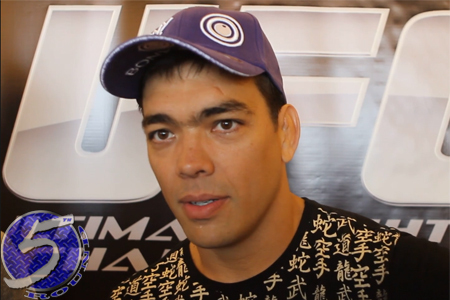 While Mauricio “Shogun” Rua and Brandon Vera headlined the freebie fight card, it was Lyoto Machida (Pictured) who walked away with the light heavyweight top contender moniker. Shogun posted a thrilling 4thRound TKO victory over “The Truth” in the show’s featured attraction, but it wasn’t enough to trump Machida’s violent knockout against Ryan Bader to earn next dibs at the 205-pound crown. UFC president Dana White announced Machida’s next in line status following the FOX broadcast. According to UFC president Dana White, 16,080 fans packed the arena, garnering a live gate of $1.1 million. White said he picked Machida for top contender because he looks like he wants to fight for the belt again and Shogun doesn’t. Swick felt bad for punching Johnson when he was unconscious, but he didn’t want to ease up because Johnson was coming back from hard shots in the 1stRound. White stated they will “probably” have Davis and Prado rematch at “UFC on FX 5” on October 5th. Shogun was asked a question about his conditioning, but an irritated Vera jumped in and said he was pressing the action and that played a role in Shogun’s slower pace. Despite the loss, Vera was pleased with is performance. White was happy, as well. Lauzon was obviously thrilled to get two bonuses, but he was more happy to have broken the record for most Fight Bonuses in UFC history. He believes he passed Chris Lytle.